The online version of this article (doi:10.​1186/​s12889-017-4642-8) contains supplementary material, which is available to authorized users. Pictorial warning labels (PWLs) deter initiation and motivate quitting. Assessing PWLs is important to track effectiveness and wear out. Jordan introduced an updated set of PWLs in 2013. This study assessed the effectiveness of the set after 2.5 years on the market. We administered a survey in a cross-sectional sample of young adults aged 17–26 years. For convenience, respondents were recruited on university campuses. For heterogeneity, respondents were solicited from the different schools in four geographically diverse university campuses. The study compared perceptions of effectiveness surveyed in 2015 to perceptions gauged in 2010 during a pre-launch evaluation exercise. Outcomes of interest were: salience, fear evocation, adding information, and ability to motivate quitting smoking (for smokers) or deterring starting (for non-smokers). Results indicate awareness of the set among smokers and non-smokers, and their recall of at least one PWL message. Results also indicate effectiveness of the set: (1) 1/3 smokers who frequently saw them reported PWLs to trigger considering quitting, (2) and among both smokers and non-smokers the set in 2015 sustained ability to motivate quitting and staying smoke-free. However, results uncover erosion of salience, suggesting that the set has reached its end of life. Finally, results reveal variability in performance among PWLs; the one PWL that depicts human suffering significantly outperformed the others, and its ability to motivate was most strongly associated with its ability to evoke fear. Based on the early signs of wear-out (i.e. erosion of salience), and understanding the importance of sustaining upstream outcomes (especially fear evocation) to sustain motivation, we recommend retiring this set of PWLs and replacing it with a stronger set in line with proven standards. World Health Organization. WHO report on the global tobacco epidemic 2013. Tobacco Free Initiative (TFI). http://​www.​who.​int/​tobacco/​global_​report/​2013/​en/​. Published 2013. Accessed 20 Mar 2017.
WHO Framework Convention on Tobacco Control. 2003. http://​www.​who.​int/​fctc/​text_​download/​en/​. Accessed 20 Mar 2017. Guidelines for implementation of Article 11. Guidelines on packaging and labelling of tobacco products. WHO. 2008. http://​www.​who.​int/​fctc/​guidelines/​adopted/​article_​11/​en/​. Accessed 20 Mar 2017. World Health Organization. Global Health Observatory (GHO). Prevalence of Tobacco Smoking. http://​gamapserver.​who.​int/​gho/​interactive_​charts/​tobacco/​use/​atlas.​html. Published 2016. Accessed 20 Mar 2017. World Health Organization. Global Youth Tobacco Survey Country Fact Sheets-Jordan 2009. http://​www.​emro.​who.​int/​images/​stories/​tfi/​documents/​GYTS_​FS_​JOR_​2009.​pdf?​ua=​1. Published 2012. Accessed 20 Mar 2017. United Nations. United Nations Treaty Collection. https://​treaties.​un.​org/​pages/​ViewDetails.​aspx?​src=​TREATY&​mtdsg_​no=​IX-4&​chapter=​9&​clang=​_​en. Published 2003. Accessed 20 Mar 2017. Campaign for Tobacco-Free Kids .Pictorial Health Warning Labels by Country/Jurisdiction by WHO Region. http://​global.​tobaccofreekids.​org/​files/​pdfs/​en/​WL_​country_​Jordan_​en.​pdf. Published 2015. Accessed 20 March 2017. Canadian Cancer Society, Cigarette package health warnings: international status report, Fifth Edition, October 2016. World Health Organization. WHO report on the global tobacco epidemic 2015. Tobacco Free Initiative (TFI). http://​www.​who.​int/​tobacco/​global_​report/​2015/​en/​. Published 2015. Accessed 20 Mar 2017. World Health Organization. Global Health Observatory (GHO). 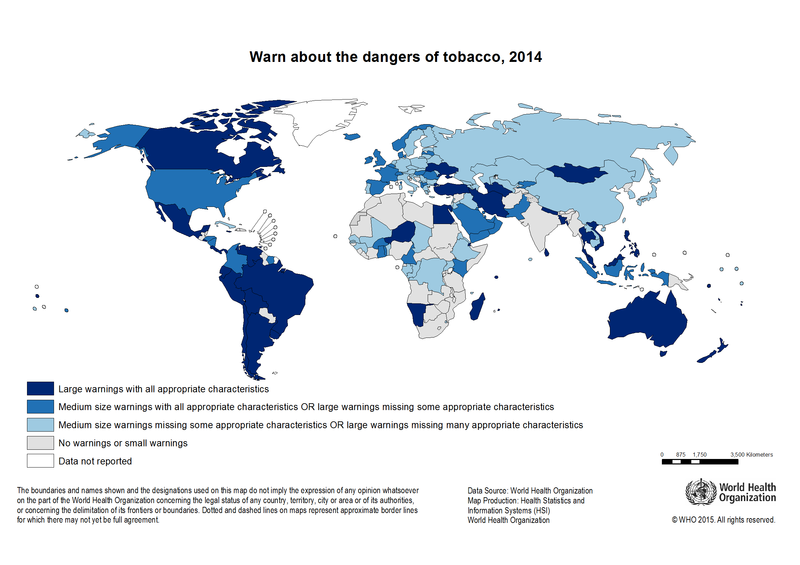 Warn About the Dangers of Tobacco, 2014. http://​gamapserver.​who.​int/​mapLibrary/​Files/​Maps/​WarnDangersTobac​co_​2014.​png. Published 2015. Accessed 20 Mar 2017. .
World Health Organization. Global Health Observatory (GHO). Tobacco Control Policies and Interventions, 2014. http://​gamapserver.​who.​int/​gho/​interactive_​charts/​tobacco/​policies/​atlas.​html?​indicator=​i3&​filter=​filter4,Eastern%20Mediterranean. Published 2015. Accessed 20 Mar 2017.
International Tobacco Control (ITC) Policy Evaluation Project. What is the ITC Project? http://​www.​itcproject.​org/​node/​1. Published 2014. Updated 2016. Accessed 20 Mar 2017. World Health Organization. Tobacco Free Initiative (TFI). http://​www.​who.​int/​tobacco/​mpower/​en/​. Updated 2017. Accessed 20 Mar 2017.